Safecoat Caulk is a non-toxic, water-based caulking compound designed to replace oil caulk and putty for windows, cracks and general maintenance work. It is a water resistant, flexible, easy to install sealant with excellent initial and permanent adhesion; it will not sag or release any solvent-based or obnoxious odors. Safecoat Caulk may be applied to a variety of substrates, such as windows, cracks, holes, door perimeters, walls and woodwork, siding openings and masonry cracks. It is highly durable and paintable. APPLICATION: Apply to dry substrates directly from the tube; smooth with a knife or spatula. COVERAGE: Approximately 30 lineal feet per tube. 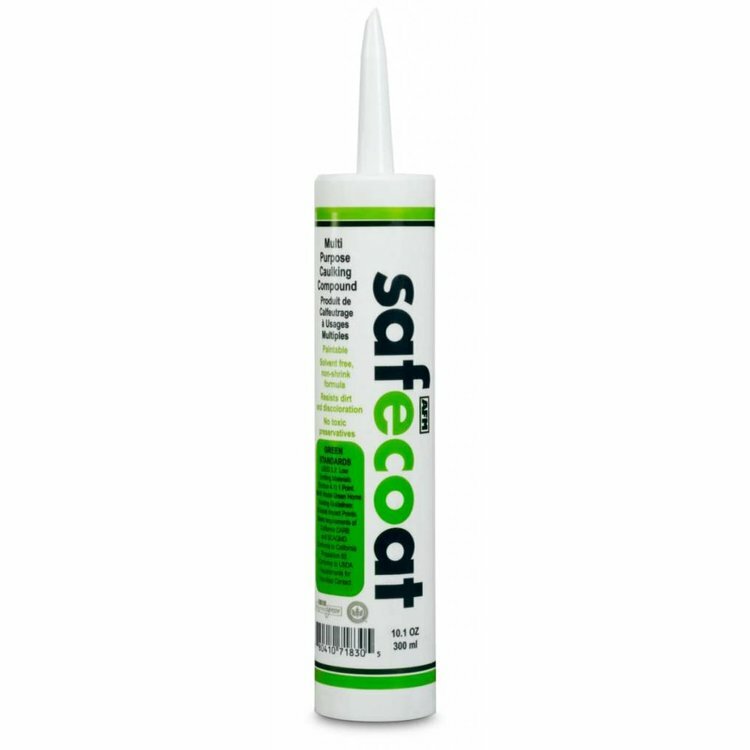 LIMITATIONS: Safecoat Multi-Purpose Caulk is made without formaldehyde preservatives and toxic mildewcides and fungicides. Do not contaminate. Store in airtight containers.